Tuxedo Park Celebrating Canada 150 with Canada Day Breakfast! Pathfinders Selling Girl Guide Cookies at Our Hall! 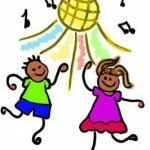 Tuxedo Park’s Summer Jelly Bean Dance! Introduction to Coding at Tuxedo Park Hall! Tuxedo Park is Hiring a Part-time Hall Manager! Tuxedo Park’s Halloween Jelly Bean Dance!